Christina Lee thrives at the intersection of ambiguity, creativity, and analytics. She has a knack for untangling the complex, and building strategies that lead to success. A passionate ambassador for servant leadership, Christina inspires colleagues, partners, and clients to achieve their personal objectives while working alongside them for the benefit of the whole. Christina is a storyteller at heart, and has extensive cross-functional experience managing product launch strategies from ideation to launch. Her experience includes roles at Safeway, Cisco Systems, QuinStreet, and General Motors, for which she managed product portfolios, marketing activation, communications, data analytics, and client campaign optimization. 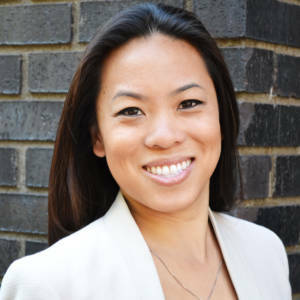 Christina holds an MBA from the University of Michigan and earned two bachelor’s degrees from the University of California, Berkeley.